Motivational incentives play an influential role in value-based decision-making and cognitive control. A compelling hypothesis in the literature suggests that the motivational value of diverse incentives are integrated in the brain into a common currency value signal that influences decision-making and behavior. To investigate whether motivational integration processes change during healthy aging, we tested older (N = 44) and younger (N = 54) adults in an innovative incentive integration task paradigm that establishes dissociable and additive effects of liquid (e.g., juice, neutral, saltwater) and monetary incentives on cognitive task performance. The results reveal that motivational incentives improve cognitive task performance in both older and younger adults, providing novel evidence demonstrating that age-related cognitive control deficits can be ameliorated with sufficient incentive motivation. Additional analyses revealed clear age-related differences in motivational integration. Younger adult task performance was modulated by both monetary and liquid incentives, whereas monetary reward effects were more gradual in older adults and more strongly impacted by trial-by-trial performance feedback. 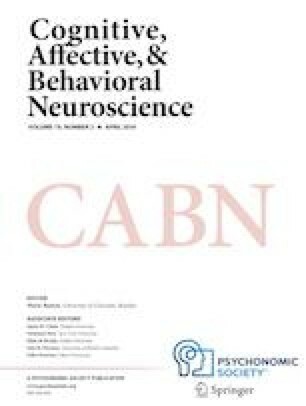 A surprising discovery was that older adults shifted attention from liquid valence toward monetary reward throughout task performance, but younger adults shifted attention from monetary reward toward integrating both monetary reward and liquid valence by the end of the task, suggesting differential strategic utilization of incentives. These data suggest that older adults may have impairments in incentive integration and employ different motivational strategies to improve cognitive task performance. The findings suggest potential candidate neural mechanisms that may serve as the locus of age-related change, providing targets for future cognitive neuroscience investigations. The online version of this article ( https://doi.org/10.3758/s13415-019-00713-3) contains supplementary material, which is available to authorized users. The authors thank our research assistants Katie Shapiro, Roderick Seow, and Jessica Weiss for data collection. We additionally appreciate Tammy English, Denise Head, Dave Balota, and members of the CCP lab, for their insightful perspectives on theoretical questions and expertise for data analyses. This work was supported by the National Institutes of Health grants R01AG043461, R21MH105800, and R37MH066078 to TSB. Additionally, DMY was supported by T32NS073547, T32AG000030, and F31DA042574.